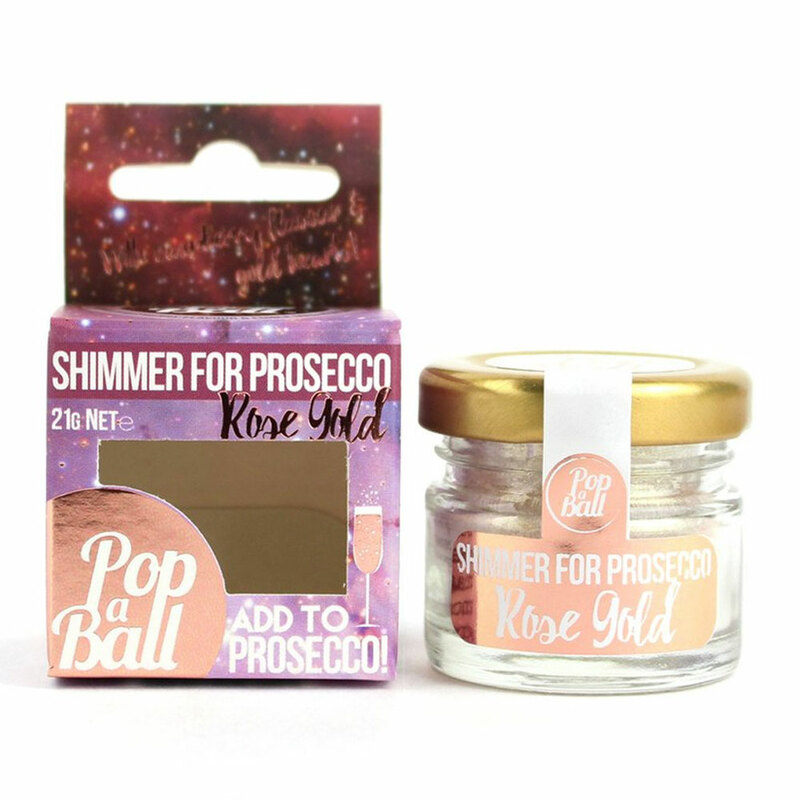 No cocktail, or glass of prosecco is complete unless it has shimmering rose gold powder in it. 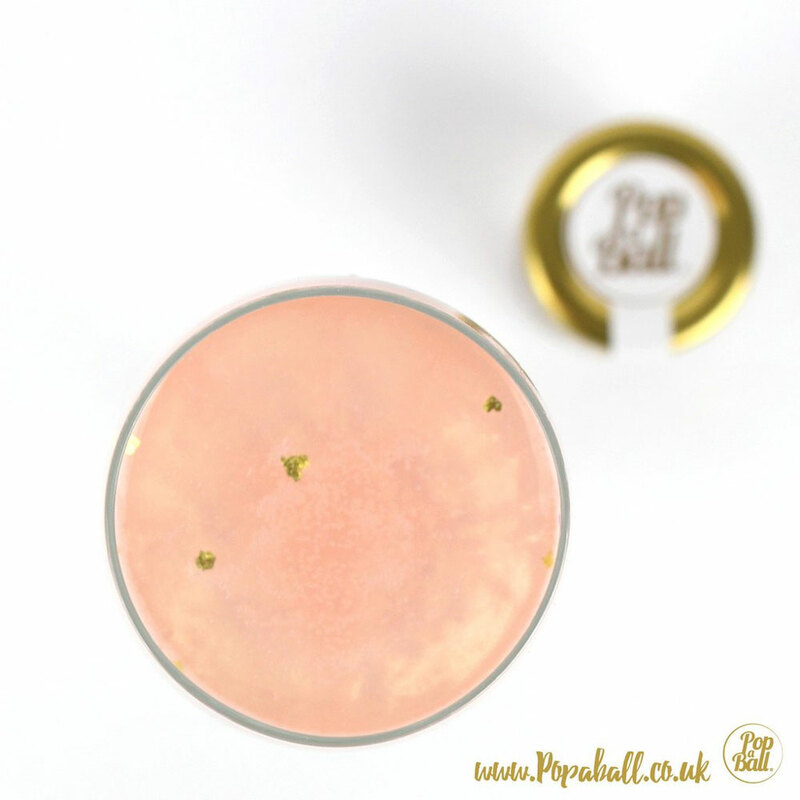 Complete with gold hearts this shimmer is the ultimate garnish. 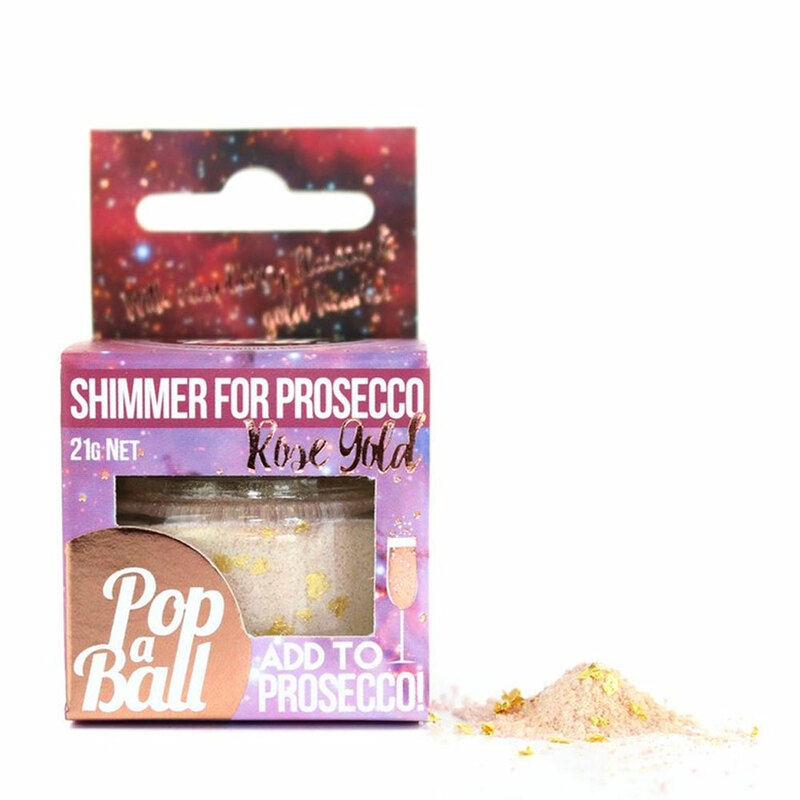 Not only is it pretty but it's also raspberry flavoured and can also be added to gin, vodka or anything that has some fizz! 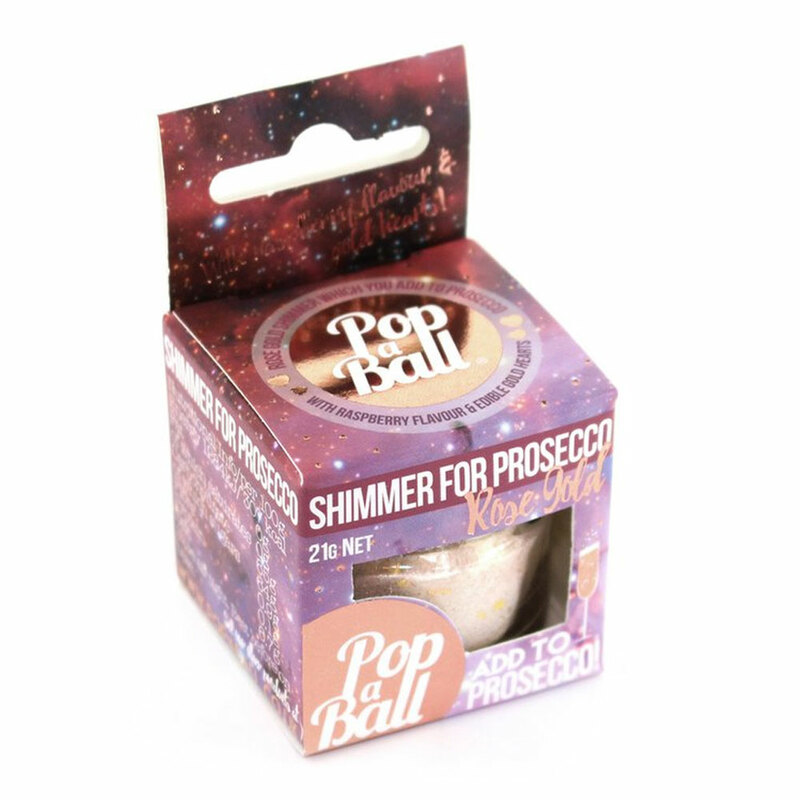 One pack of shimmer contains approximately 21 servings. 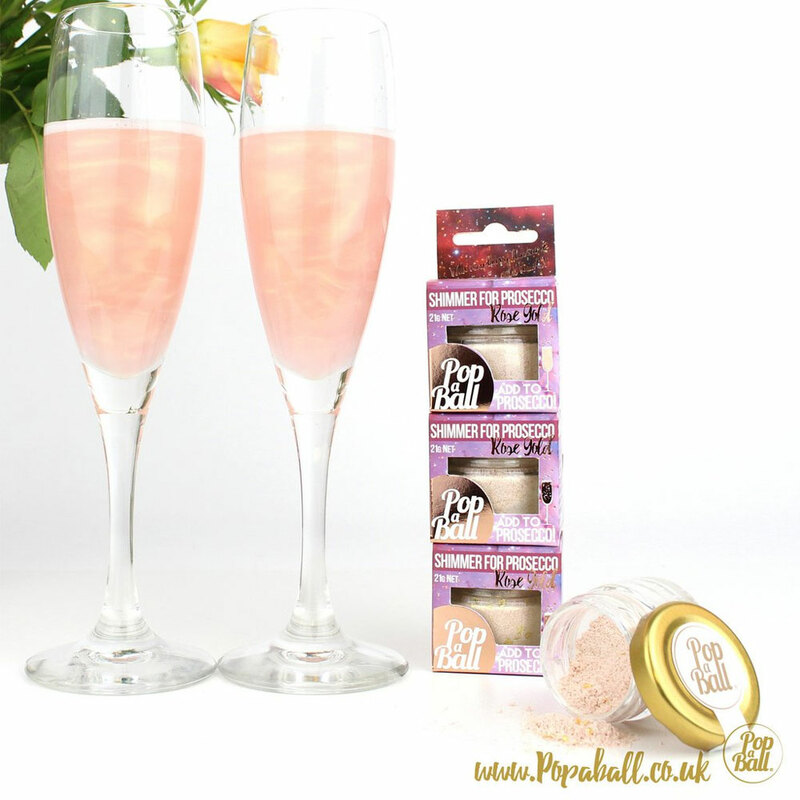 To get the best results simply add in 1/3 of a teaspoon of the shimmer to a glass of prosecco!